Boise, ID - Sgt. Bowe Bergdahl says he walked off his base in Afghanistan to cause a crisis that would catch the attention of military brass. He wanted to warn them about what he believed were serious problems with leadership in his unit. And he wanted to prove himself as a real-life action hero, like someone out of a movie. Bergdahl, of Hailey, Idaho, was charged in March with desertion and misbehavior before the enemy. He faces up to life in prison, though an Army officer has recommended that Bergdahl’s case be moved to a special misdemeanor-level military court. 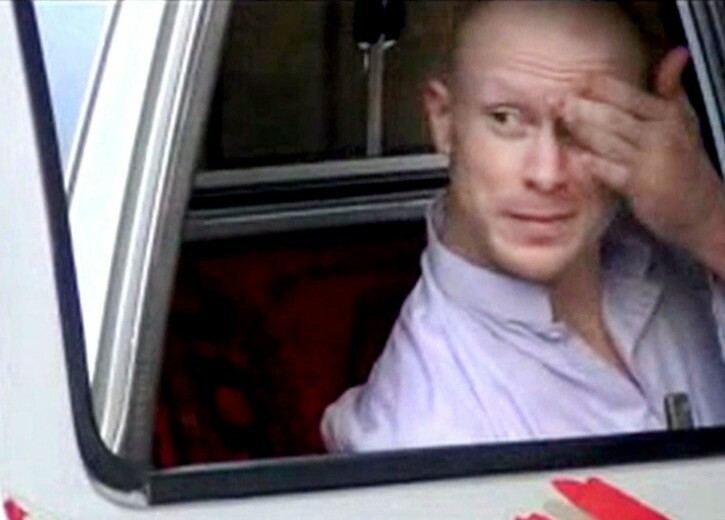 The more the public can hear Bergdahl’s own words, the better, Fidell told The Associated Press. “Some of the information that is going to come out is inevitably not going to be what we would have preferred in a perfect universe, but net-net, we’ll take it and allow people in our democratic society to form their own opinions,” Fidell said. Bergdahl’s interview is another coup for makers of “Serial,” which established podcasts as a viable outlet when the first season was downloaded more than 100 million times. Makers wouldn’t say how long the new season would last; the first one was 12 separate episodes. In the episode, Bergdahl says he wanted to expose the “leadership failure” he experienced in Afghanistan. The episode does not elaborate on what that failure was, but he says he believed at the time his disappearance and his plan to reappear at another location would give him access to top officials. After leaving the base after midnight, he worries about the reception he’ll get once he reappears, and decides to try to get information on who was planting bombs in the area. That information will help smooth things over with angry military officials, he figures. Sarah Koenig, the host and executive producer of “Serial,” describes Bergdahl as a “radical, idiosyncratic” man in the episode. She says Bergdahl shipped his personal items home, bought local attire and pulled out $300 in U.S. dollars and Afghanis ahead of leaving the base. Bergdahl acknowledges his motives weren’t entirely idealistic. He says after the sun came up, a group of men on motorcycles captured him as he walked through nearby flatland desert. "leadership failure"? More like a gut failure. I think he was referring to Obama under leadership failure.